Skopje (AFP) - Macedonian lawmakers on Thursday amended the country's asylum law in a bid to better cope with the thousands of migrants who have been pouring in the Balkan country, heading towards the EU. The changes are designed to facilitate the transit of migrants, allowing them to register with the authorities and then within 72 hours either seek asylum or leave Macedonia, which is not an EU member. 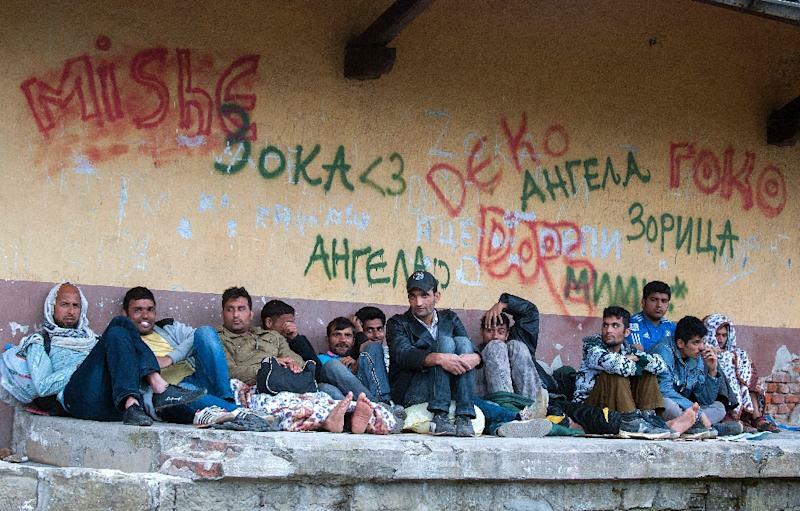 "Border police have been returning on daily basis 2,000 to 3,000 migrants who are trying to enter Macedonia from Greece," Interior Minister Mitko Cavko told the deputies. "However, a large number of migrants manage to enter Macedonia," he said, adding that their number has tripled during the first five months of the year compared with the same period in 2014. The law, backed by 69 deputies in the 123-seat parliament, would also enable migrants to use public transport, namely trains and buses as well as taxis, instead of being forced to walk or cycle -- the only means of transport they have been allowed to use here so far. The absurd situation forced migrants, fleeing conflict-torn and impoverished countries in Africa, the Middle East and Asia, to either walk or more recently cycle for some 200 kilometres (124 miles) through Macedonia to get to the border with Serbia. Migrants making it into Serbia have land access to three members of the 28-nation European Union -- Croatia, Hungary and Romania. 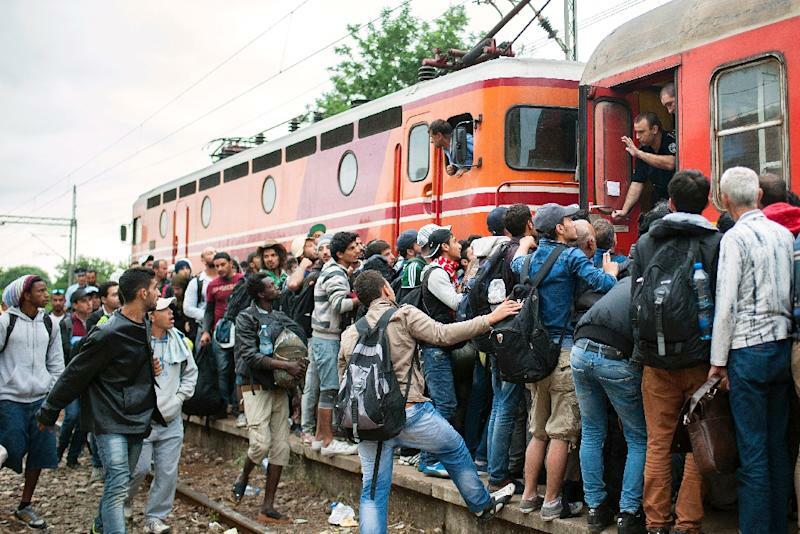 As part of the massive flow of people trying to reach Europe, the number entering Hungary shot up from 2,000 in 2012 to 54,000 this year so far, with 95 percent of them arriving from Serbia, according to official figures. Hungary said on Wednesday it was building a barrier on its border with Serbia to keep them out. The announcement triggered "surprise and shock" in Serbia, whose Prime Minister Aleksandar Vucic said it "can't be responsible for the situation created by the migrants". The move was announced as Pope Francis hit out at nations that "close the door" to those seeking a safe haven from war, poverty and persecution.